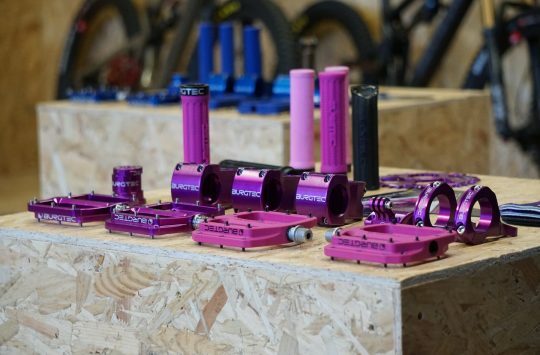 One of the brands of the purple-anodized 1990s British mountain biking vanguard, Ultimate Sports Engineering -USE- had slowly faded from the public eye as its principals focused on sister brand Exposure’s LED lights. Along with a new website and updated graphics, the company’s offerings have also been refreshed and are now becoming available. 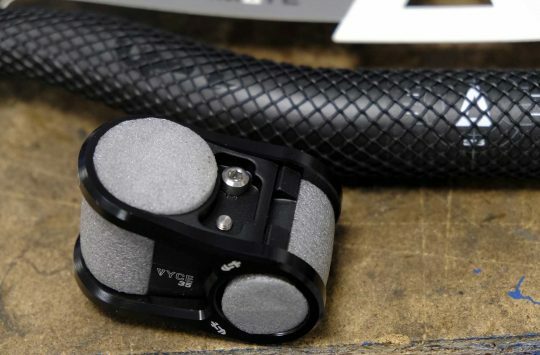 While wider bars and lighter weight seatposts are welcome, the £80 VYCE stem is a real eye-catcher. 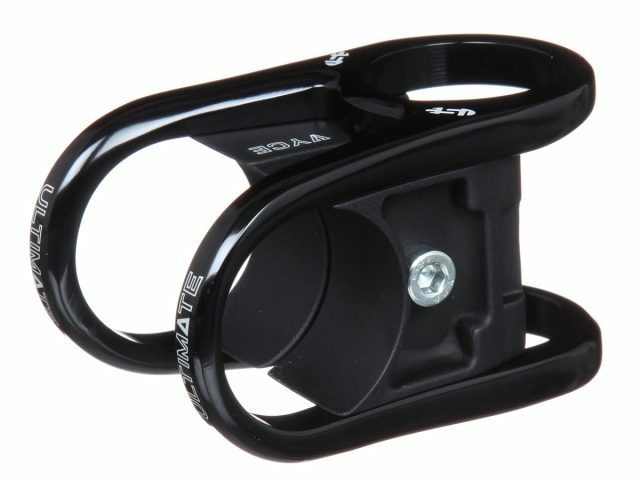 Available in on-trend 40, 50, and 60mm reaches, the patent-pending VYCE stem uses a single bolt to simultaneously clamp both the steerer and handlebar. 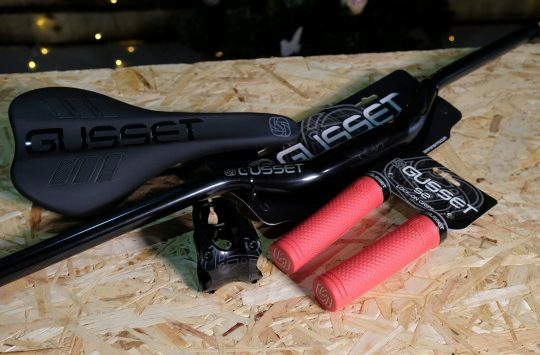 While USE has embraced the short-stem trend, they haven’t let go of their lightweight roots: estimated weights range from 114-126g. Width and rise and sweep, oh my. 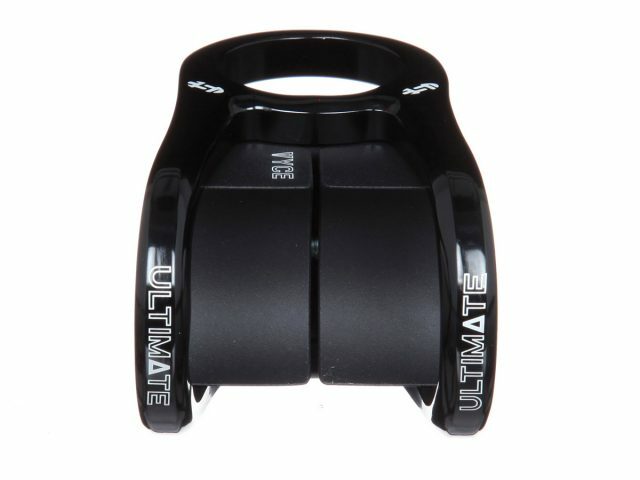 The updated “Ultimate” range is exclusive to mail order giant Wiggle. 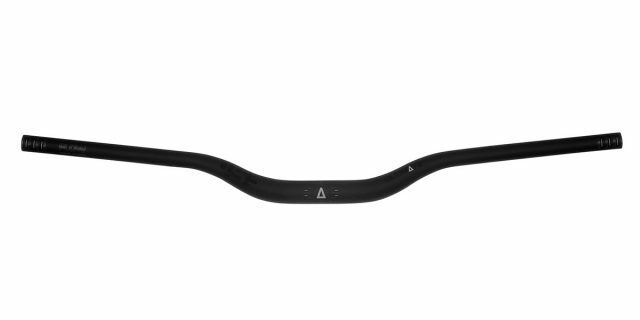 The Vybe seatpost (Shockpost to the grey-bearded and balding) lives on while SUMO-headed seatposts get updated carbon and alloy tubing for lighter weight and improved ride and handlebars grow as wide as 780mm. That’s going to be a nightmare to get a high rise bar into. Not particularly light either. A Bonty RXL is sub 100g at 75mm. I suspect that the entire wedge assembly slides out the back, which is more involved than removing a faceplate but should allow pretty easy access. One bolt to undo to remove bar and stem – brilliant! I take it they’ve checked out Odyssey’s back catalogue? Used to sell the Odyssey BMX jobbies at the LBS I ran back on the day. (We had a huge skate park just down the road) . The amount of issues we had with them makes me hope USE have done their homework, one bolt comes loose and suddenly your bars flip over and you can’t steer. caused some horrendous crashes. Odyssey stopped using that design for very good reasons. what a faff during set up having your stem freely rotating round the steerer whilst simultaneously trying to align the bars.